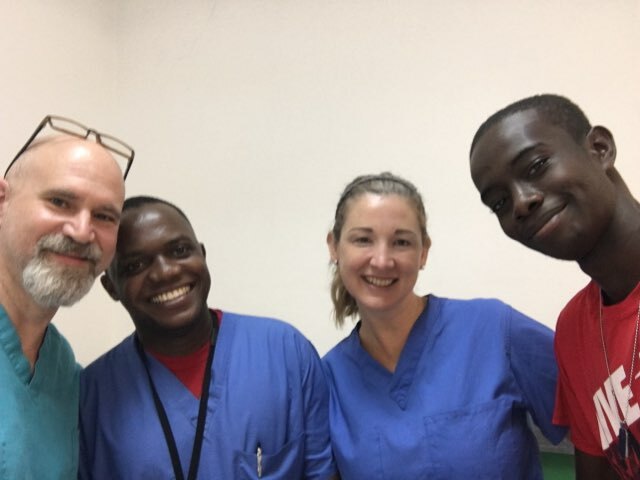 Dr. Victor J. D’Addio, Board Certified, Fellowship Trained Vascular Surgeon at Radiologic Associates of Fredericksburg (RAF), just returned last week from a medical mission trip in Haiti with the organization Mission of Hope. During his four days in Haiti, Dr. D’Addio treated 33 patients. As a former military doctor who completed his surgical residency at Walter Reed Army Medical Center, Dr. D’Addio has experience serving in developing countries. At the Mission of Hope medical clinic, his cases ranged from lipoma removal on a disfigured scalp and hypertrophic scarring from earrings to the removal of a cyst that had been draining for five years. In the remote villages far from the hospitals at Port au Prince, the opportunity to be treated by a surgeon is rare. January was the last time a surgeon was at the clinic and the next will not arrive until January 2019. 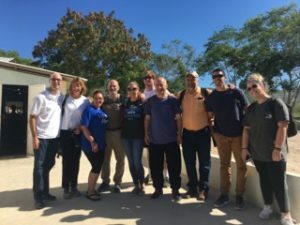 “The most rewarding part about giving my time specifically to Mission of Hope is that the simplest procedures can mean so much and change someone’s life,” according to Dr. D’Addio. RAF is the largest provider of radiologic and vascular surgery services in the Fredericksburg, Virginia region. RAF serves patients at Mary Washington and Stafford Hospitals, Medical Imaging of Fredericksburg, the Imaging Center for Women, the Imaging Center for Women at North Stafford, Medical Imaging at Lee’s Hill, and Medical Imaging of North Stafford, as well as at RAF’s interventional radiology practice, Virginia Interventional & Vascular Associates. For more information, visit rafimaging.com or call (540) 361-1000.